Input/ Output Modules:Input/Output modules allow the connection of third party equipment and devices to a fire system through a single channel monitored circuit. Translator Modules: Translator modules allow the use of intelligent radio field devices along side standard wired devices. Expander modules: Expander modules are used to boost the signal of wireless devices to allow a wireless system to be used in larger buildings, this is done by relaying the signal from device to the translator module. The wireless single channel input module allows the connection of third party equipment and systems to your fire alarm system. This is done via a single channel monitored circuit and the module is fully controllable through the control panel offering the same flexibility as a standard addressable module. The Wireless Single Channel Output Module for wireless fire alarm systems is compatible with all loop Translator and Expander Modules. The Output Module allows the switching of a load and can be set to be normally open or normally closed. 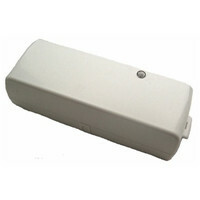 The HyFire Wireless Translator Module allows you to connect wireless devices to your existing fire alarm system. Wireless devices alongside hard-wired devices can be a great combination, particularly for complex systems or when you want to protect a group of buildings. The HyFire Wireless Expander Module is used to boost the signal and thus increase the radio coverage of the Translator Module. This allows a wireless system to be used in larger buildings and in difficult wireless environments. The HyFire Wireless to Conventional Interface allows you to connect wireless fire detection devices to your fire alarm system alongside traditional hard-wired devices.